In light of rapid advances in technology and changes in students’ learning styles, Leading Learning for Digital Natives offers much-needed new tools for guiding effective instruction in the classroom. 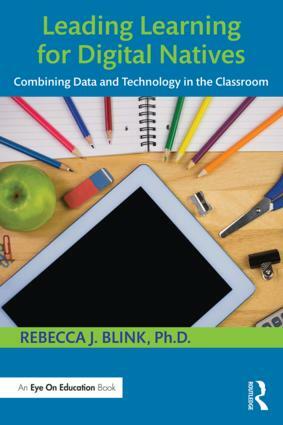 By offering practical strategies for gathering data with technology tools, this book helps school leaders embrace data and technology to develop the classroom and instructional practices that students need today. Blink’s practical and accessible tips make it easy for teachers and leaders to use technology and data to engage students and increase student achievement.